London-based artist, Yu-Chen Wang presented a site-specific installation in response to the Victoria Baths’ history and its current architectural space. The project is based on the fictional story of Yu-Chen’s new experiment of creating “A Last Drop” in order to re-fill the pool at Victoria Baths and ensure that the water will never dry up again. The artist used a story written by Bob Dickinson to contextualise the multi-layered visual narratives presented in a series of drawings, sculptures and a newly produced film work. 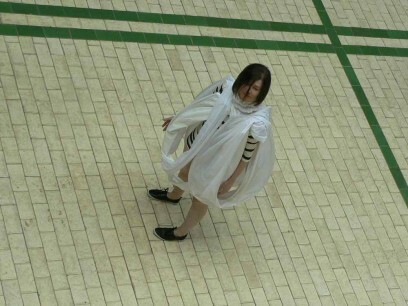 This is in conjunction with her current residency at Chinese Arts Centre, as well as a 20-minute performance in collaboration with a Manchester-based theatre actress, filmmakers and artists which spanned both venues. Limited edition hand-made publications were given out to the public whilst the performance was filmed by the members of MMU Media Lab. Cornerhouse premiered the film to coincide Yu-Chen Wang’s artist book, published by CAC later in the year.